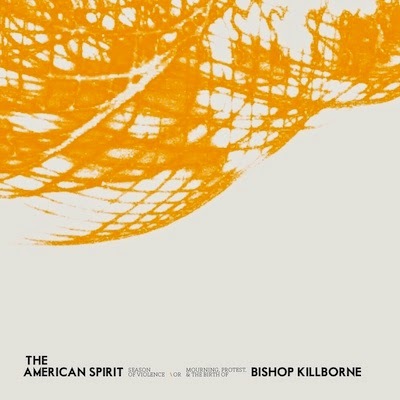 "SEASON OF VIOLENCE OR MOURNING, PROTEST & THE BIRTH OF BISHOP KILLBORNE"
The originally Austin-based band The American Spirit have been quietly warming themselves up to the Indie/Americana scene. With two EP's and some sporadic shows under their belt, they've relocated to Los Angeles and are ready to make a name for themselves. They spent most of 2014 holed up in singer/guitarist Gabriel Strycharz's Santa Barbara home, recording what has now become known as Season of Violence or Mourning, Protest, & Birth of Bishop Killborne, their debut album. The three-piece make the kind of thoughtful folk rock that fans of My Morning Jacket or Father John Misty might recognize. If there's one thing Season can be called, it's diverse. Often shifting from dreamy, lackadaisical, free-roaming jaunts to fuzz-laden indie anthems to good ole' folk ballads and everything in between. An emphasis on atmosphere and ambiance makes it a spatially resonant album, definitely recommended for a listen with the biggest headphones you can find. Though generally clear and focused, the vocal phrasing throughout implies a sort of underlying urgency or panic, which is perhaps a side effect of the album's lyrical content. Taking inspiration from the unabashed honesty of David Bazan and Pedro The Lion, the record is based on the processing of the recent suicides of two of Gabriel's close friends. Themes of mourning and protest surfaced while trying to understand where the victims were and how it affected those who knew them. "Wait For The Night", for instance, was inspired from the Michael Brown incident, commiserating with those holding the front lines of the following protests. But from tragedy, inspiration can be found, and Gabriel's journey to find himself as a voice, personality, and the like gave birth to Bishop Killborne. Season of Violence or Mourning, Protest, & the Birth of Bishop Killborne is available February 24th via independent release.